Almost all themes will already have an optimized viewport meta tag, so 99% of users don’t need to change anything. 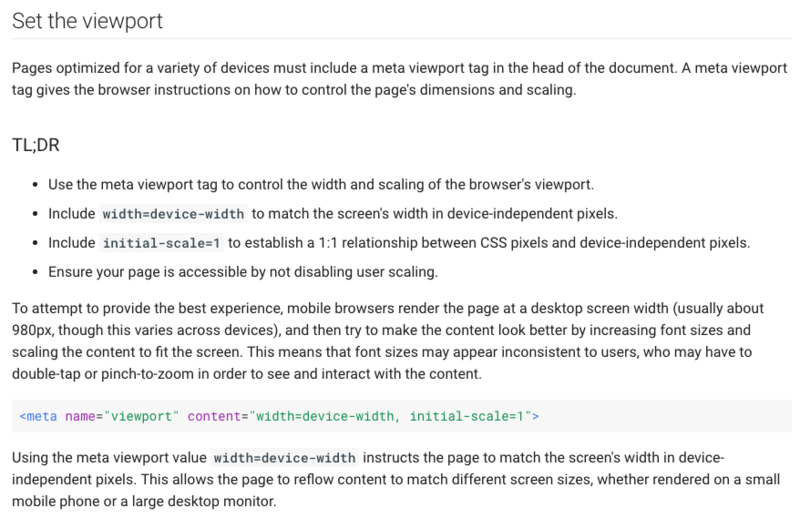 What is the viewport meta tag? The viewport meta tag is a critical component to make your site responsive. It signals to the browser that your site should be responsive, and reflow the content to the device’s dimensions, rather than simply scaling the content down. What happens if I don’t have this viewport meta tag? If you have no viewport meta tag at all, your site won’t be responsive. Since ShiftNav only displays below a given breakpoint, if your site is not responsive, a mobile device will show the desktop site, and ShiftNav will never display. If you have a different viewport meta tag, you may experience resizing issues as ShiftNav opens and closes. Including the proper viewport meta tag ensures the browser knows how to properly handle displaying your site on mobile devices when there is off-canvas content such as ShiftNav.